Asphalt is a sticky, black and highly viscous liquid or semi-solid that is present in most crude petroleum. It is most commonly used in road construction. 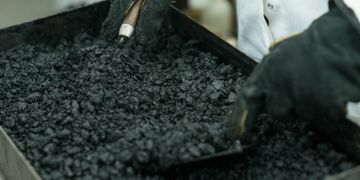 The material consists essentially of two ingredients, aggregate and bitumen which is the binder. A number of technologies allow this simple mix to have an almost infinite number of mixtures which may either be specified or designed to suit a particular engineering requirement. of any given asphalt mix. Such parameters include binder content, binder percentage, aggregate grading, void content, resilient modulus, indirect tensile fatigue cracking, creep, softening point, flash and fire point, water content, loss in mass, elongation, elasticity, viscosity and adhesion.